It's been quite a while since my last post and to be honest it was a much needed break. But I missed my blog and I decided that I don't want to let it die. So here I am today with a new post full of cuteness, sparkle and bright colours. 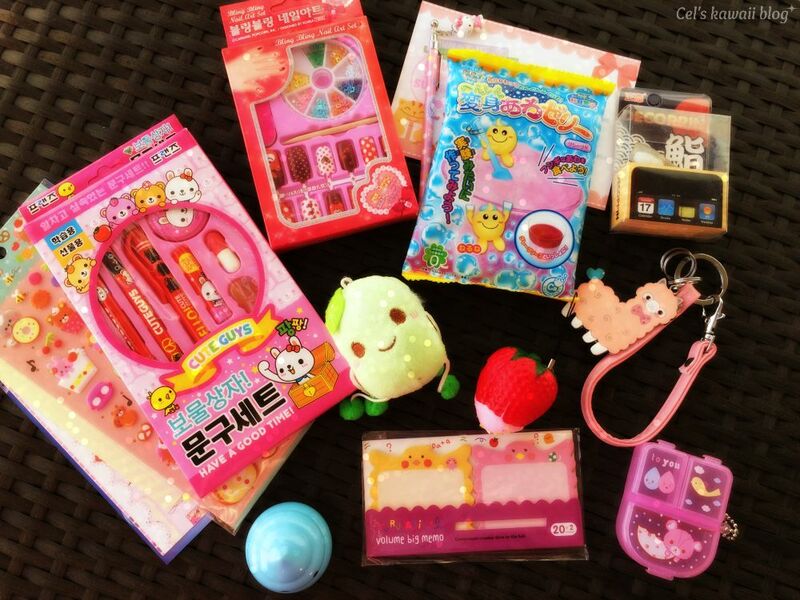 Let's talk about the Kawaii Box. 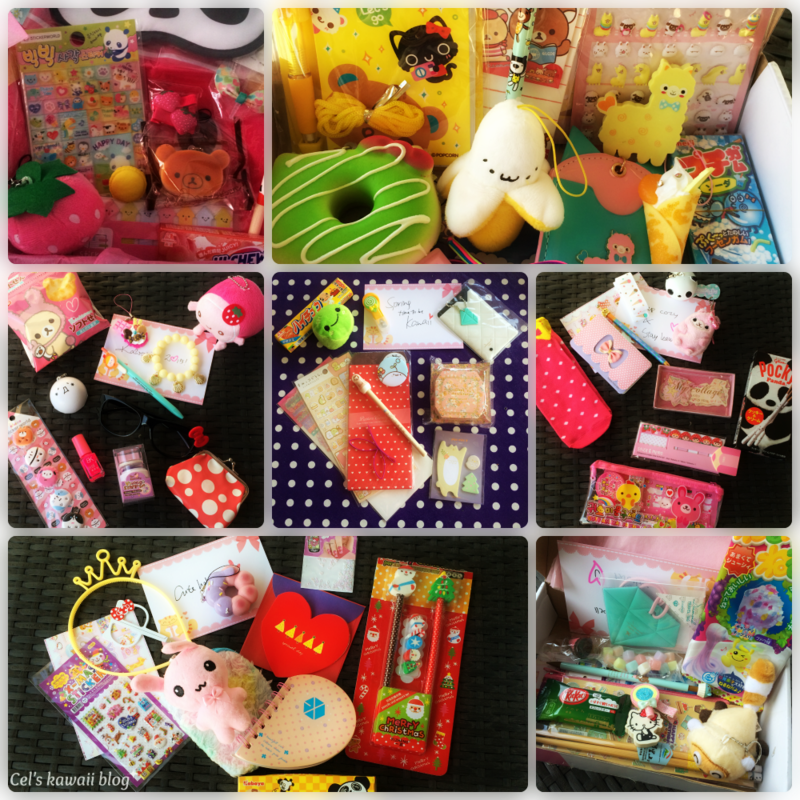 What is a Kawaii Box you ask? It's a subscription box filled with all sorts of cute things! When I first heard about it, I was really curious. I love cute stuff and the idea of subscription boxes so I decided to give it a try. And I wasn't disappointed. Each box that arrived was better than the last one, filled with many items from jewellery and stationary to snacks and nail art supplies. Here are a few of my favourite items from past Kawaii Boxes. The latest box I have received was the June box. 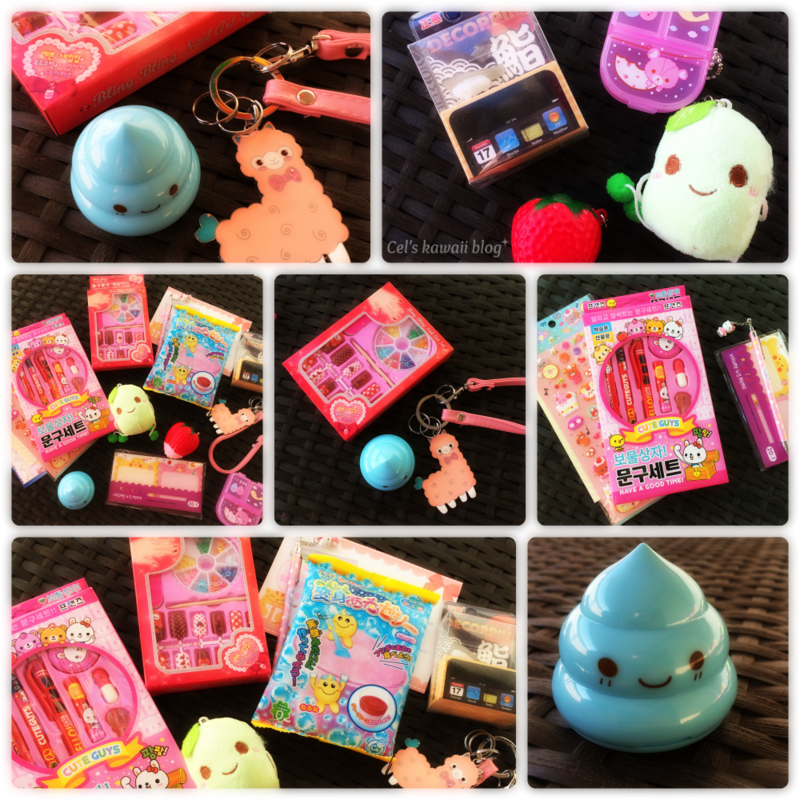 As usual it had a great seletion of items, including a sushie phone plug, a bean plushie, a strawberry phone charm, Japanese candy, a nail art set, stickers and stationary and my most favourite of all, a cute poo pencil sharpener. 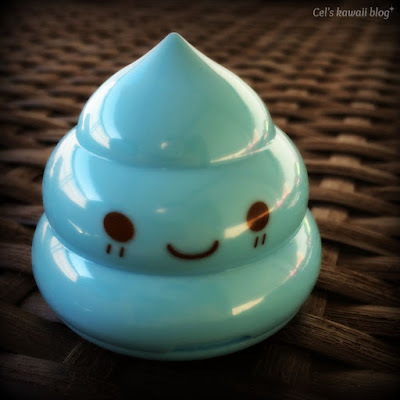 Check out this cute pill box and the bean plushie. 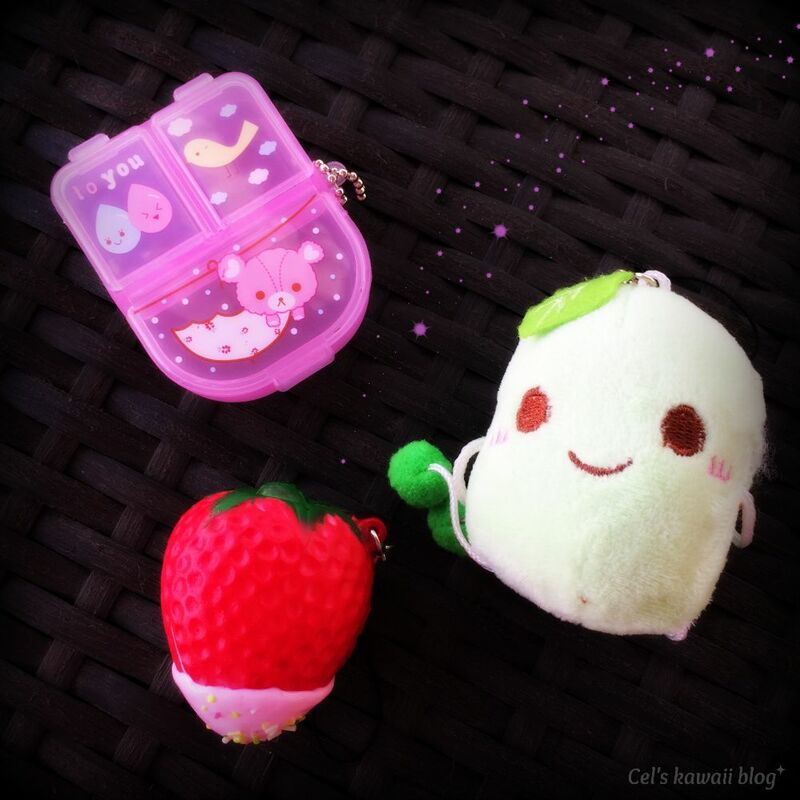 Or maybe you prefer a squishy strawberry phone strap. 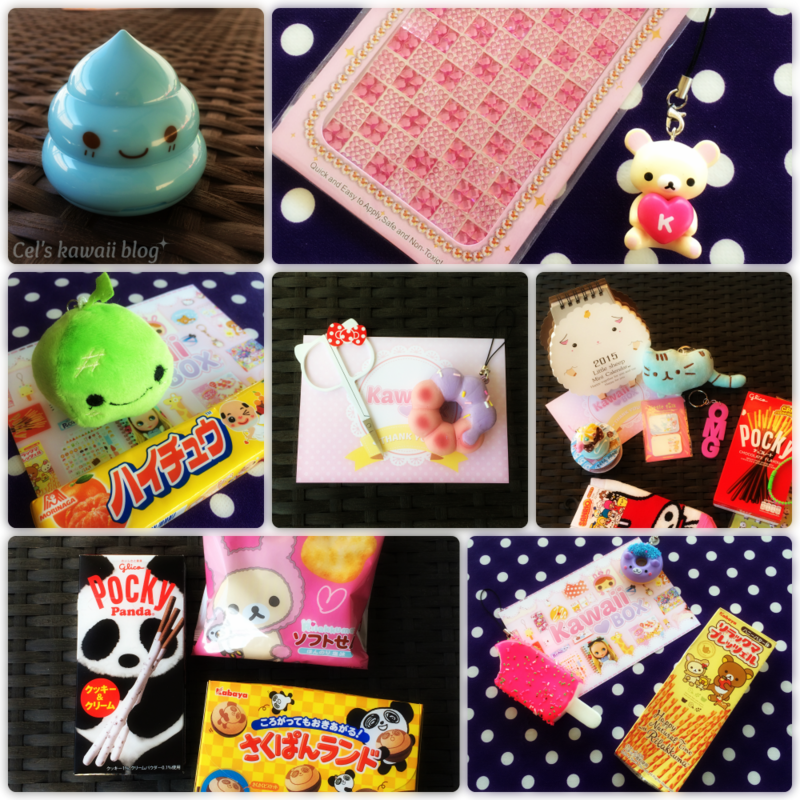 With 12 cute items every month I find that this box lives up to its name. 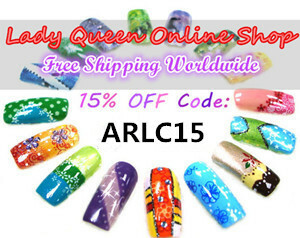 It's super kawaii and a good deal too. Which of the above items is your favourite dear readers? Would you try this box? If you would like to win some sparkly kawaii accessories for yourself, check out my ongoing Instagram only giveaway.